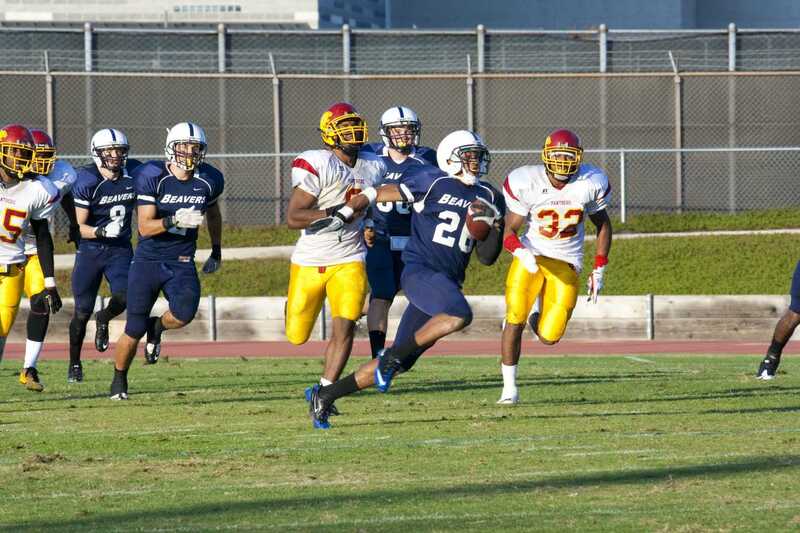 Sophomore running back Devontae Booker knew going into this season he had a chance to do some special things for the American River College football team. And special it was. Very early, and very often. Booker carried the ball 19 times for 291 yards and a school-record five touchdowns as the Beavers opened up the 2012 season with a 59-9 victory over Monterey Peninsula College at Beaver Stadium on Saturday Sept. 1. The Beavers (1-0) came into the season with an 18-game winning streak and a 21-1 record over the last two years. Ranked fifth in California for junior colleges and 23rd nationally, there was high expectations for the team. A question mark during the offseason was at quarterback after record-breaking quarterback Andy McAlindon left in late May after just one season with the Beavers. McAlindon signed a scholarship offer with Louisiana Tech. However, freshman quarterback Jonathan Kodama put to rest most doubts after playing a turnover-less game for the Beavers, completing 13-18 passes for 305 yards and two touchdowns. He was successful on the short slant throws and screen passes. Kodama’s top target was freshman J’Juan Muldrow from Folsom High School. Muldrow started for the Beavers and finished with five catches for 97 yards and two touchdown grabs. As lopsided as the final score was, it looked like the Lobos would make it a close ball game. After Kodama completed the first touchdown pass to Muldrow less than two minutes into the game, MPC sophomore defensive back Shane Larson picked up the block extra point and returned it 90 yards for two points. Moments later after Booker reached the end zone for the first time, MPC came back with a quick score on a five-yard touchdown pass from Cole Houston to Hiutton Buley to bring the score within four points at 13-9 with almost eight minutes still to play in the first quarter. But, Booker and company ran off 29 straight first half points to take a commanding 42-9 halftime lead. Sophomore linebacker Samson Faifili set the tone early for ARC with two first half sacks, and led the Beavers with six tackles and 2.5 sacks. 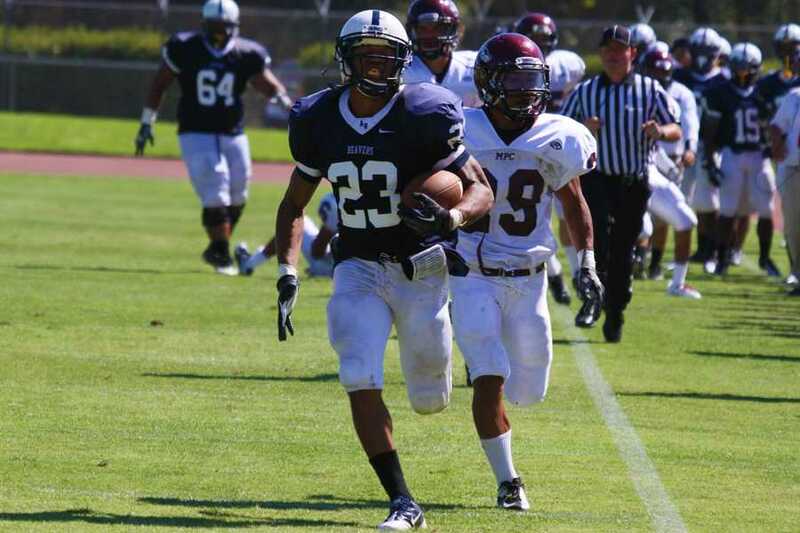 ARC will have a short rest this week with a Friday night game at Sacramento City College. The Panthers will unveil the new FieldTurf and refurbishing at Hughes Stadium. “Any time American River College and Sacramento City College play in anything, I don’t care if it is chess or football—it is a rivalry and there is going to be a lot of fun,” Haflich said. Be the first to comment on "Beavers demolish MPC behind record day for Booker"